Halloween doesn’t have to just revolve around candy and scary things ~ it can be fun too! 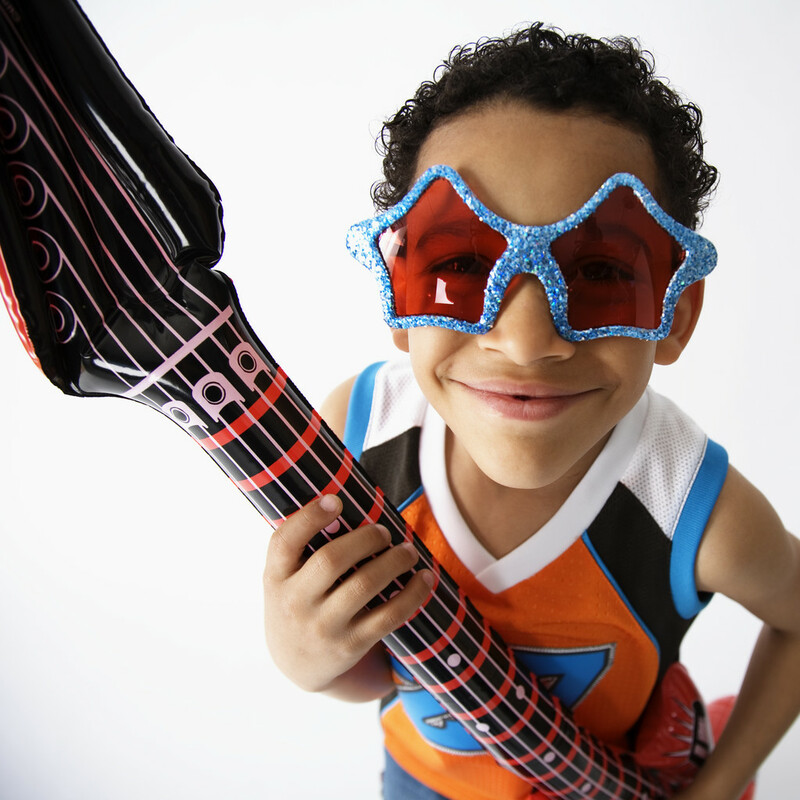 There are so many things you can do in your home to get the little ones ready and excited for the big day. – If you’ve got your pumpkins picked out already, it’s time decorate them! 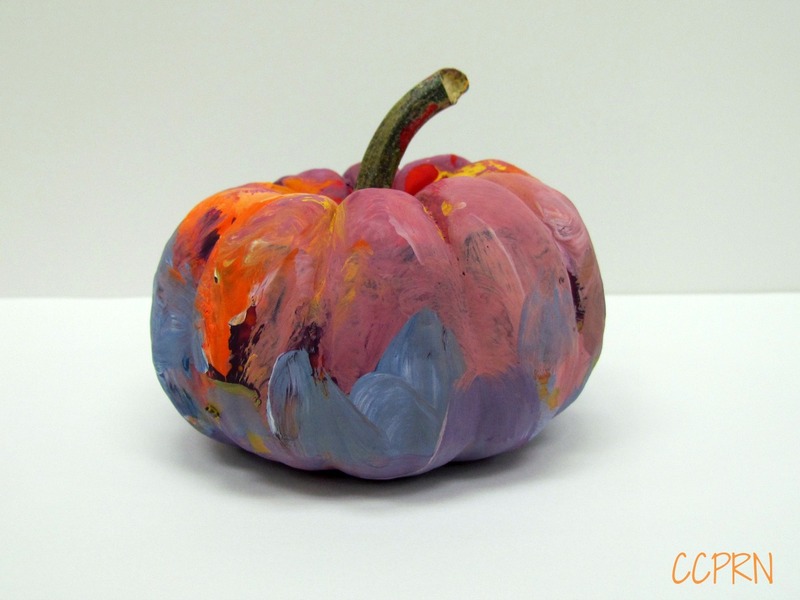 Young ones may not be able to carve them, but they can certainly turn them into eye-catching works of art! They can have just as much fun pasting and painting them too! … if you still prefer the glow of candles in your carved pumpkins, why not use battery operated tealights inside to set the mood. – Dig out and dust off a few extra items from the back of your closet to add to your dress-up bin. I just know you’ve got some things in there from past decades… give them new life! – Involve the senses: Make some goop or slime for the children to play with. Or theme your sensory bin to Halloween. Include plastic bugs, worms and skeletons, or cotton balls and ghost felts just to name a few ideas. – Play Halloween music and maybe even have a dance party with your group! If you have a laptop or computer in your playroom, it’s easy to create a *free* playlist of Halloween songs on www.grooveshark.com (and yes they have the Original Monster Mash album in their extensive online library)! 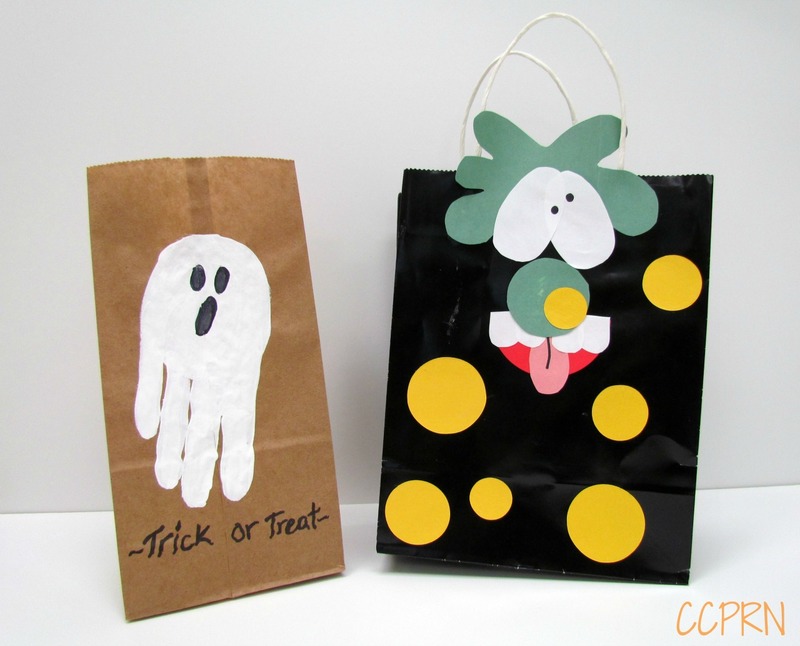 or go one step further with fabric bags with fabric markers or paints for schoolagers. 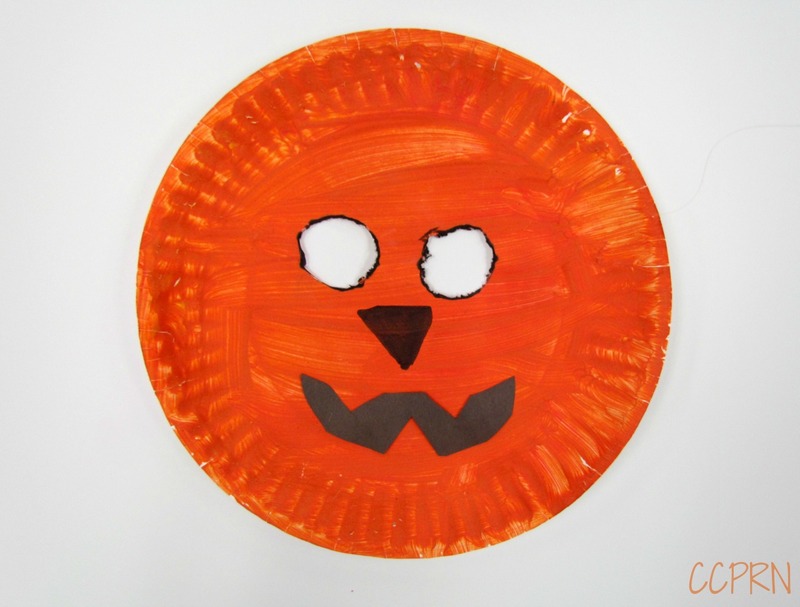 For even more Halloween craft ideas, check out our pinterest page here. 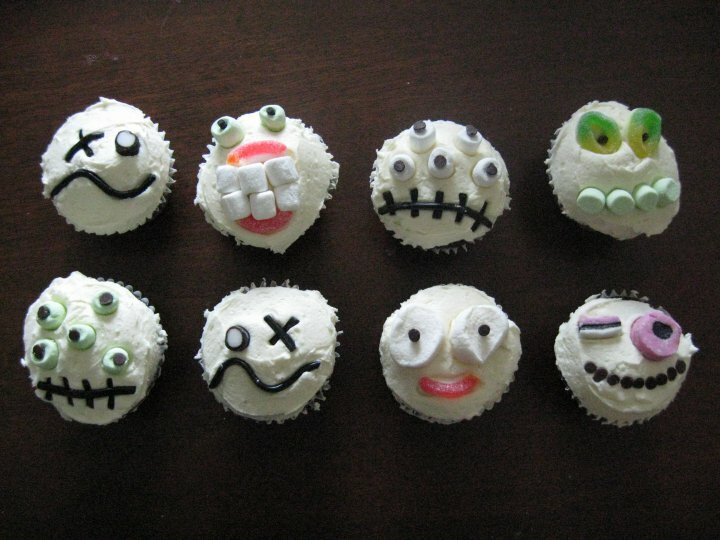 And if you have a real sweet tooth and insist on having treats for your little ones this Halloween – have them decorate some cookies or cupcakes as an alternative that is fun to make! Licorice, marshmallows, sprinkles and chocolate chips can jazz up any cupcake to make them festive! Of course we all love to see our little ones dressed up in their costumes on the big day but they are often purchased with the cold weather in mind. They might be too warm to be worn indoors for long periods or they may be a couple of sizes too large to accommodate a bulky coat underneath. Consider having the kids dress in orange and black on Halloween so that they can still feel festive, even when they’re not wearing their costume. For more info on Halloween safety check out Health Canada’s website.